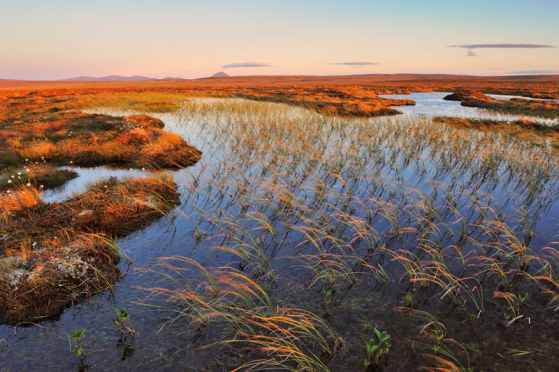 A top environmental accolade has been awarded to an extended peatland nature reserve in the far north. Forsinard Flows National Nature Reserve (NNR) is situated in Caithness and Sutherland and has been extended by 9,785 acres and now covers an area of 38,004 acres. Peatlands are vital to locking in carbon emissions, and rising carbon in the atmosphere is a trigger for climate change. Flow country peatland restoration is one of the priority projects helping to deliver on the Scottish Government’s 2020 Challenge for Scotland’s Biodiversity. Scottish Natural Heritage (SNH) has now attributed the NNR accolade to the newly extended Forsinard Flows reserve. Ian Ross, chairman of SNH, said: “National Nature Reserves are important places for people and nature and we are delighted to formally declare the new reserve today. Scotland’s organic soils hold almost a third of the equivalent carbon held by all of Europe’s forests. And its soils also contain around 50% of the total UK soil carbon store, equivalent to 186 years of Scotland’s total CO2 emissions at current rates. Organic carbon-rich soils – notably peat – are the main store of carbon in Scotland, containing more than 3,000 million tonnes – around 60 times more than in Scotland’s trees and plants, and around 25 times as much carbon as the rest of all the vegetation in the UK.